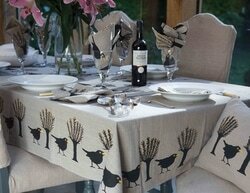 However displayed, the napkins bring another a stylish addition to the table setting. 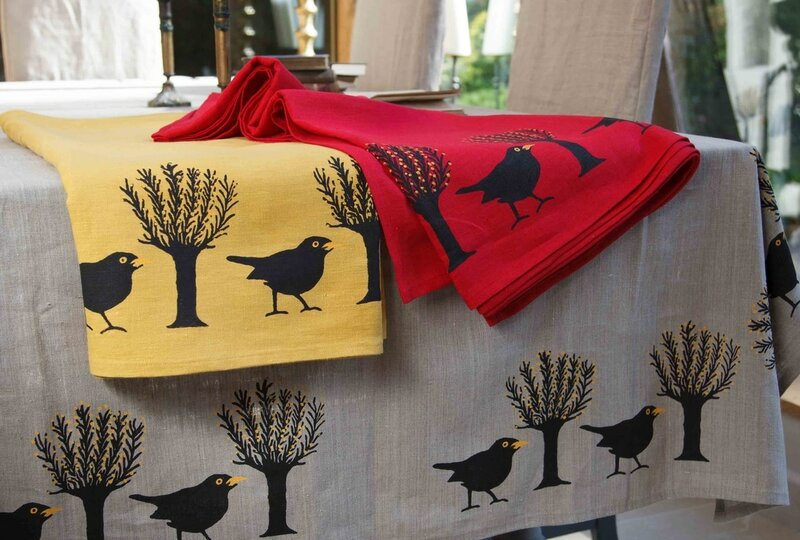 This design can be printed on varying sizes of tablecloth and on any coloured linens in stock. 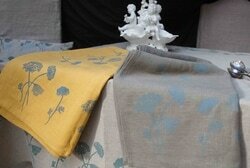 The Cambridge Milk Parsley design can be printed on varying coloured linens in stock, at various lengths.